With all of the hustle and bustle of the holidays, it’s easy to forget about the true meaning of the season and people in need. But Petra Nemcova and Clinique have partnered together through the Happy Hearts Foundation to spread awareness for those affected by natural disasters. Through this partnership, we can all do our part in helping Nemcova surpass her goal of building 100 schools by December 26th. Clinique is offering up two products, the Clinique Happy Heart Perfume Spray and Chubby Stick Moisturizing Lip Colour Balm in Plumped Up Pink, in which a portion of sales will go directly to the Happy Hearts Fund. We spoke to the supermodel and 2004 tsunami survivor about the partnership and her goals for Happy Hearts in 2015. Why is the Happy Hearts Fund so important to you? What has it been like working with Clinique through Happy Hearts? "It is an incredible honor to work with such an iconic American brand whose employees truly care about education and our mission. It’s a wonderful partnership." How did you go about choosing the Clinique products to represent Happy Hearts and why these specific products? "Three years ago, at the beginning of our multi-year partnership, we worked with Clinique to select the Happy Heart fragrance because we felt it represented both of our DNAs. The scent itself is sweet and refreshing – once you smell the fragrance, you can’t help but feel happy. This year, we added a limited edition of Clinique’s famous Chubby Stick. 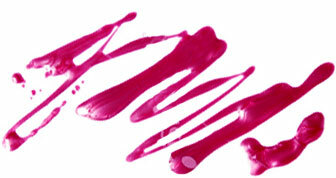 The shade, Plumped Up Pink, is a bright, happy shade that we felt was a perfect addition to the fragrance. Both make great gifts so they are perfect for the holiday season, especially for someone on your list who cares about education, such as teachers, or for those that are fans of the Chubby Stick. Since each item supports the Happy Hearts Fund, they’re truly a gift that gives back." Have you had a chance to visit some of the schools the Fund has built? Tell us about your experience. "Yes, I’ve been to almost every school opening, apart from some in Indonesia because of the distance. These visits mean so much to me and each one has been a life changing, enriching and fulfilling experience – not just for me, but for those who join the HHF team, like our donors, and, of course, the whole community. I love being able to share that experience." What are your goals for Happy Hearts in 2015? "2015 will start a new chapter for the Happy Hearts Fund. The long-term goal within that chapter will be to achieve more scale and sustainability. With that, we can help many more children and communities. The overriding goal for HHF and beyond is to create better sustained response so children don’t have to be forgotten after a natural disaster." You’ve already done so much for people affected by natural disasters, is there anything you’d still wish to do before the year is over? "Well, I will spill the beans a little… We will actually be building over a hundred schools before the 10 year anniversary of the tsunami. We are thrilled to have over-exceeded our goals but the need is so much greater. We are celebrating, but there is still a long path ahead of us. With the support from Clinique and other corporate partners, and all of our kind supporters, we can continue to uplift the lives of children and their families." The Clinique Happy Heart Collection Perfume Spray ($38, $10 of sales going to Happy hearts) and Chubby Stick Moisturizing Lip Colour Balm in Plumped Up Pink ($17, $3 of sales to benefit Happy Hearts) are available at Clinique counters nationwide and Clinique.com now.